Robert Timberg weaves together the lives of five well-known naval Academy graduates to reveal how the Vietnam War continues to haunt America. 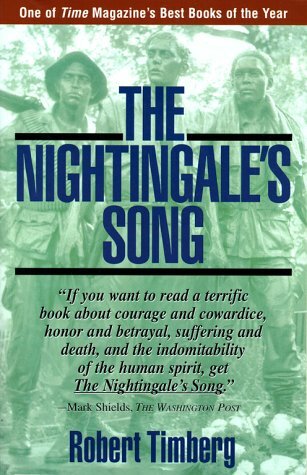 "This is an amazing piece of work that could make you cry over descriptions of bravery so bold and so big that you wonder how our country deserves such men. . . . It is about the soul of a nation".--Mike Barnicle, The Boston Globe Books. photo insert.